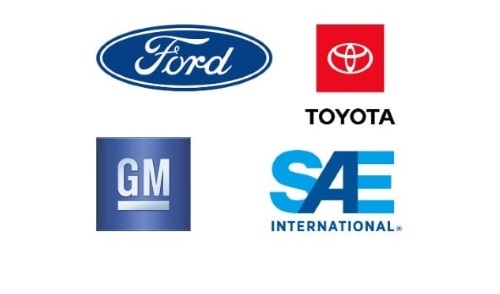 SAE International, along with automakers Ford, General Motors, and Toyota is forming the Automated Vehicle Safety Consortium as a forum to collaboratively test, develop, and deploy Level 4 and 5 automated vehicles. Edward Straub, AVSC’s executive director, said in a statement on April 3 that the new consortium will “fill a critical need” by “providing a safety framework” around which autonomous vehicle or AV technology can evolve in advance of broad deployment. “The work will ultimately inform and accelerate the development of industry standards for AVs and harmonize with efforts of other consortia and standards bodies throughout the world,” he added. SAE noted that the consortium plans to “leverage the expertise” of its current and future members to establish a set of AV “safety guiding principles” that will form a “roadmap” toward the development of uniform AV safety standards. That “roadmap” is intended to be applicable for developers, manufacturers, and integrators of automated vehicle technology and focuses on data sharing, vehicle interaction with other road users and safe testing guidelines, SAE pointed out.